Samsung has made another Galaxy A series phone official today. 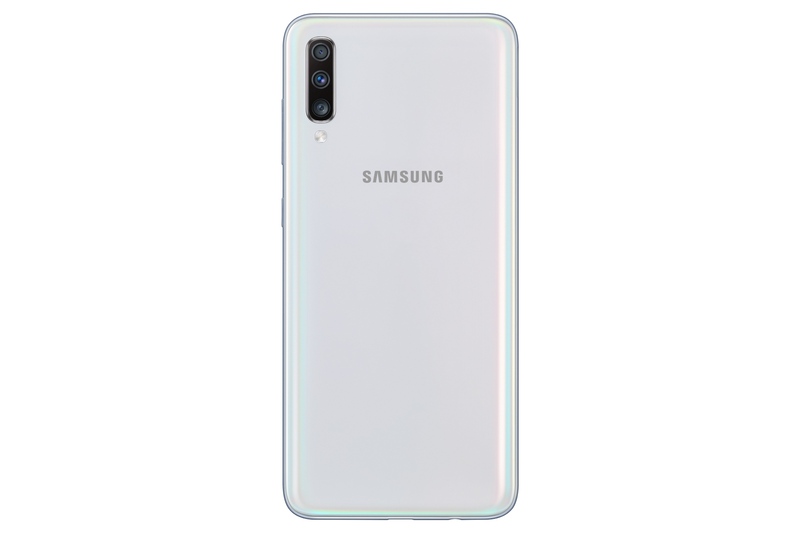 The company has announced the Galaxy A70, the fourth new smartphone in Samsung’s 2019 Galaxy A lineup. 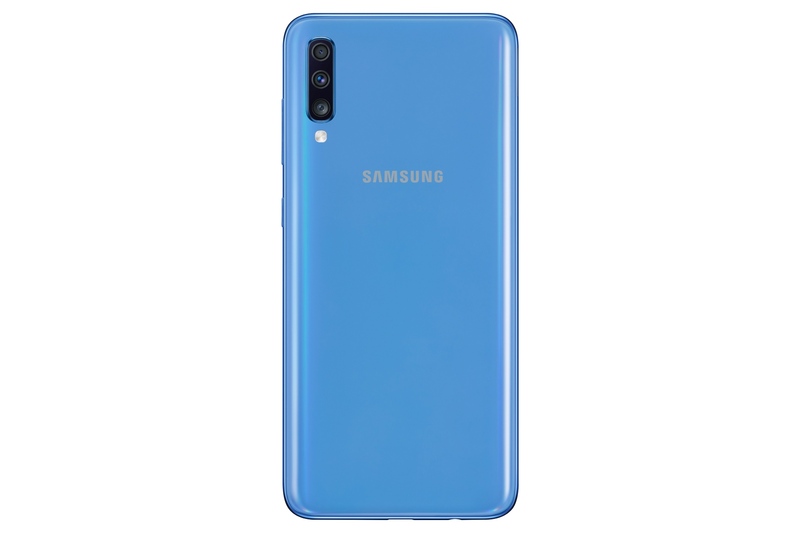 The Galaxy A70 boasts a number of interesting features, including super fast charging speeds similar to the Galaxy S10 5G, 32MP rear and front cameras, and an in-display fingerprint sensor. The Galaxy A70 comes with a 6.7-inch Full HD+ Super AMOLED Infinity-U display with has a fingerprint sensor underneath (this is likely to be the same optical sensor that we saw on the Galaxy A50). That waterdrop notch holds a 32MP front-facing camera, the highest yet of any Galaxy smartphone. The primary rear camera is a 32MP sensor as well and is accompanied by an 8MP ultra-wide camera and a 5MP depth-sensing camera. The Galaxy A70 is powered by an octa-core processor and comes with 6GB and 8GB RAM options and 128GB of internal storage. Keeping the lights on is a 4,500 mAh battery that supports 25 watt fast charging. That’s the same as the Galaxy S10 5G’s and faster than the non-5G Galaxy S10’s, and one can hope 25W charging will become standard across all new devices Samsung launches by the end of this year. On the software front, you get Android Pie out of the box with One UI 1.1. One UI 1.1 brings features such as Digital Wellbeing and full Bixby Voice support even without a physical Bixby key. 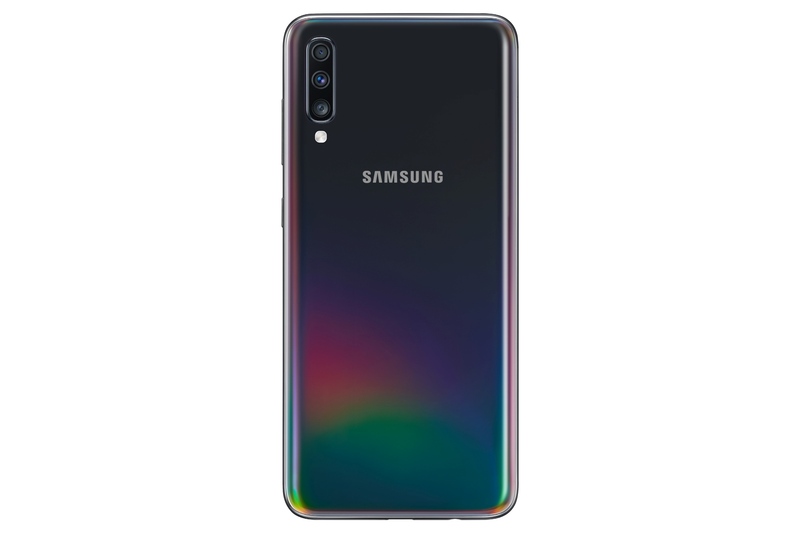 When it comes to design, the Galaxy A70 is made of what Samsung calls 3D Glasstic, which is plastic that gives off a glass-like premium vibe. 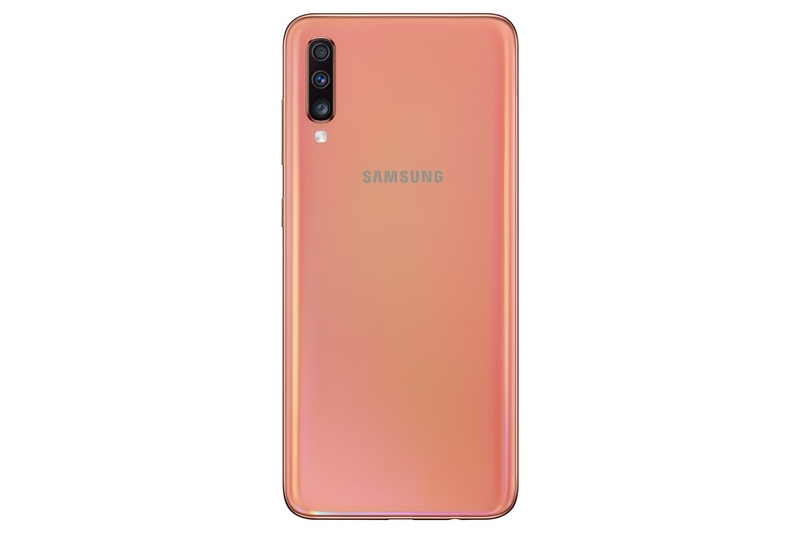 Gradient colors are part of the package, with blue, black, coral, and white color options (check our Galaxy A50 review to see how stunning these can be). 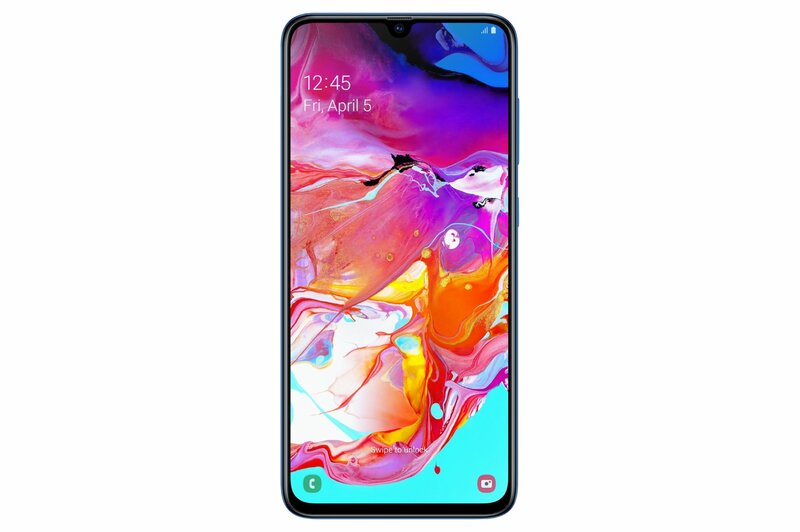 The Galaxy A70 is a good example of how the Korean giant is filling its mid-range smartphones with interesting new features before those features make their way to the flagships, and it could be a very good proposition if Samsung prices it right. The company isn’t giving us pricing or release date information yet, but it promises to reveal more at its Galaxy A event on April 10. Galaxy Fold have One UI 1.2. Where is Wireless Charging for the A series?? Better than their 15 Watt Adaptive Slow Charging but still not up to date. Huawei last year revealed 40W charging and is now at 55W. Oppo is at 50W. OnePlus is at this range too. And Xiaomi is now releasing 100W charging. Way to go Samsung. What’s the standard for the superfast charging? Is it compatible with others such as Quick Charge 4.0? It should be Quick Charge 4+ since that’s the only one that allows higher than 18W charging through USB Power Delivery standard. Samsung did confirm that it’s USB-PD based on the S10 5G, so guessing it’s the same here.